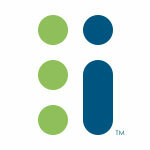 We are thrilled to announce the launch of our newest feature "Attendee Invoicing." Many of you, especially those working with schools, have requested this feature and we are happy to have it available starting today. Attendee Invoicing offers planners the opportunity to accept registrations from individuals or groups who require an invoice for payment. 1. 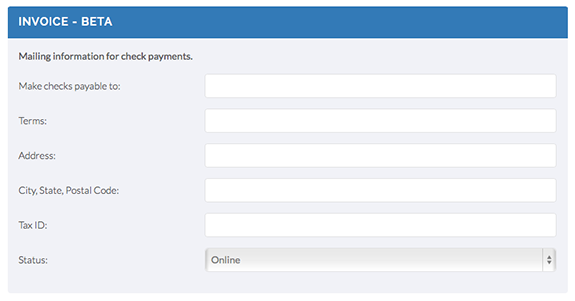 When setting up payments for your events in step 6 select "invoice." 2. Set up payment details. 3. Upon checkout, if made available, attendees will be able to select "invoice" as a payment option amongst any other payment options you have made available. 4. Your reporting and individual attendee details will reflect that the attendee has elected to pay via invoice. 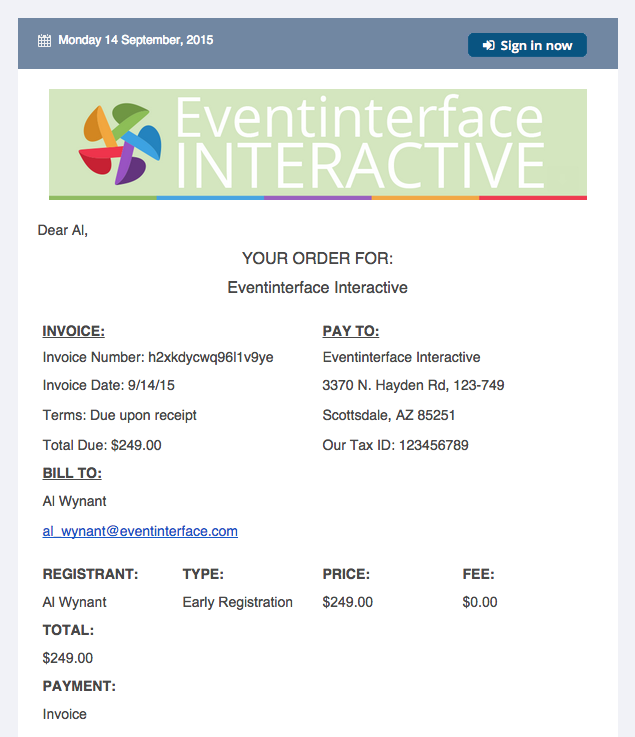 You can click on "Resend Confirmation" to resend the invoice to the attendee. 5. Attendee receives invoice for order placed. 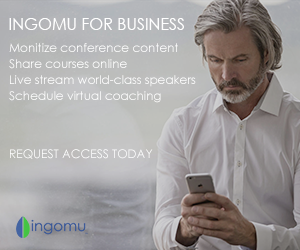 Questions about this feature, please email us at MemberServices[at]Eventinterface[dot]com.